You can see by the foot on the right side of the picture that activity was taking place inside. Well, you can't see that, but you can infer it! My psychic-detective powers tell me that something new is opening at this location — something that will use old books as part of the decor! 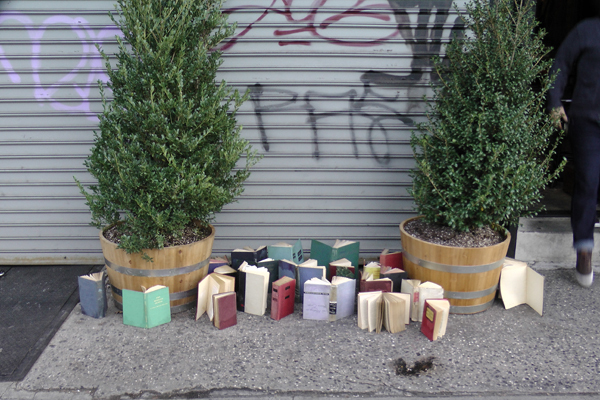 Fresh-smelling old books… in the East Village Today!